Former New Jersey Gov. Chris Christie is seen in this photo during the 2016 Republican National Convention. Australian artist Paul Newton has created portraits of high-profile clients including Pope Benedict XVI and Prince Philip, Duke of Edinburgh. Next in line? The guy who nearly dumped nachos on a Cubs fan, former New Jersey Governor Chris Christie. The gig doesn’t come cheap, either. Christie’s official portrait will cost a reported 85,000 taxpayer dollars, as it was commissioned and signed under contract a month before Christie left office. To put this price in perspective, Christie’s portrait will cost about $10,000 more than what New Jersey’s previous three governors paid – combined – for official portraits. Christie’s is also the most expensive governor portrait for the state on record. 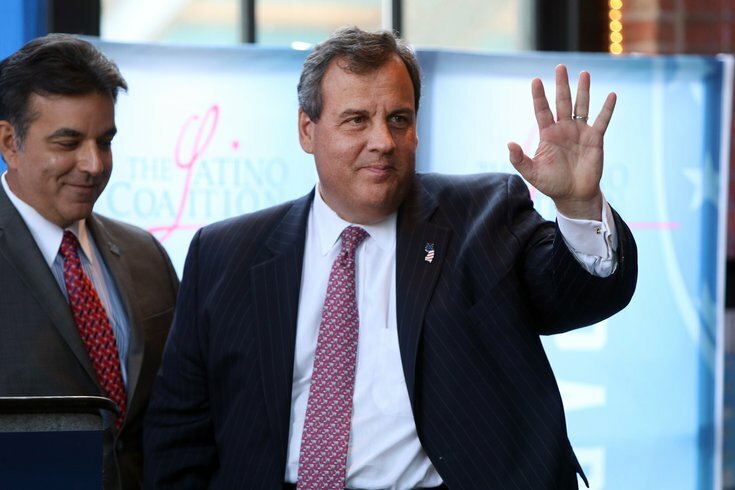 Before Christie, the title was held by Jim Florio, who paid $58,000. Christie has him beat by nearly 30 grand. Christie sat for the oil-on-canvas portrait last December and it is expected to be completed this fall. Critics of the former governor find the price to be a fitting end to Christie’s tenure after similar taxpayer scandals have drawn ire, including Christie’s infamous beach takeover last summer. Social media was quick to criticize the price, with some people offering suggestions to more accurately (and more frugally) capture Christie’s likeness. Sorry Chris Christie, billing NJ $85k for your portrait is pointless.